Closely matched to the National Curriculum, the Schofield & Sims Revision Guides help children to revise what they have learnt at school, in preparation for the end of key stage tests. Clearly presented examples and colourful illustrations help bring revision to life, while targeted practice questions highlight any gaps in understanding.The Key Stage 2 Science Revision Guide covers the statutory requirements for Key Stage 2 science, including: living things and their habitats, animals (including humans), evolution and inheritance, materials, rocks, light, sound, Earth and space, forces, electricity and working scientifically. 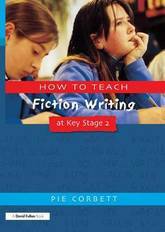 The accessible format and index enable children either to work through the topics in order, or to focus on a particular subject area.This 96-page book includes: helpful Tips for tests and advice on how to revise effectively; Remember boxes to summarise key information; regular Test yourself questions and answers to check recall of information; a Glossary to encourage the correct spelling and use of subject vocabulary.The accompanying Key Stage 2 Science Practice Papers (ISBN 9780721713700) reflect the appearance and content of the Key Stage 2 Science Sampling Test, providing further opportunity for revision and test preparation. Collins English Revision for KS2 SATs is full of colourful motivating activities that make learning fun. 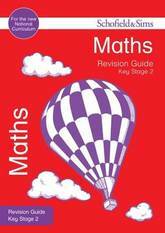 Helpful tips and answers are included to help with revision and to support learning. 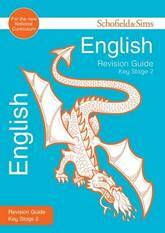 This revision and practice book for KS2 English offers: * Full topic coverage for Key Stage 2 English. * Heaps of practice questions. * Accessible guidance and support. 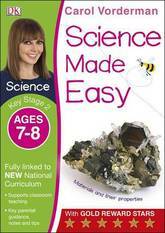 Learners can test their knowledge, check their answers and improve their results at KS2. 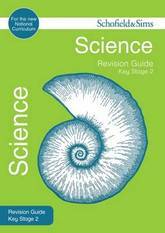 Closely matched to the National Curriculum, the Schofield & Sims Revision Guides help children to revise what they have learnt at school, in preparation for the end of key stage tests. Clearly presented examples and illustrations help bring revision to life, while targeted practice questions highlight any gaps in understanding. 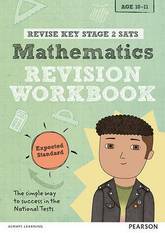 The Key Stage 2 Maths Revision Guide covers the statutory requirements for Key Stage 2 maths, including: number, fractions, decimals and percentages, ratio and proportion, calculation, problem solving, algebra, measurement, geometry and statistics. 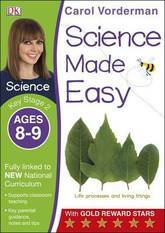 The accessible format and index enable children either to work through the topics in order, or to focus on a particular subject area.This 96-page book includes: helpful Tips for tests and advice on how to revise effectively; Remember boxes to summarise key information; regular Test yourself questions and answers to check recall of information; a Glossary to encourage the correct spelling and use of subject vocabulary.The accompanying Key Stage 2 Maths Practice Papers (ISBN 9780721713632) reflect the appearance and content of the national tests, providing further opportunity for revision and test preparation. The Schofield & Sims Practice Papers help children to prepare for the end of key stage tests by providing rigorous practice of exam-style questions. Closely matched to the National Curriculum test frameworks, they include full instructions for use, as well as guidance on equipment and timings, in order to familiarise children with the format of a formal test. 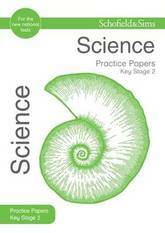 The Key Stage 2 Science Practice Papers reflect the appearance and content of the Key Stage 2 Science Sampling Test. 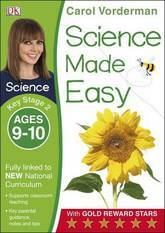 Papers on biology, chemistry and physics are included, along with detailed mark schemes to indicate whether a child is meeting the expected standard. 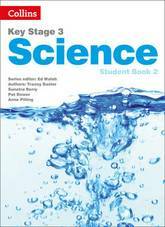 Key features of the Key Stage 2 Science Practice Papers include: formal exam-style questions, similar to those found in the national tests; comprehensive instructions for both the child and adult helper; a clear mark scheme with additional comments and guidance; cross-references to relevant information in the corresponding Key Stage 2 Science Revision Guide (ISBN 9780721713694). Closely matched to the National Curriculum, the Schofield & Sims Revision Guides help children to revise what they have learnt at school, in preparation for the end of key stage tests. Clearly presented examples and colourful illustrations help bring revision to life, while targeted practice questions highlight any gaps in understanding.The Key Stage 2 English Revision Guide meets the statutory requirements for Key Stage 2 English, covering reading skills, comprehension and writing - including spelling, grammar and punctuation, as well as fiction, non-fiction and poetry. 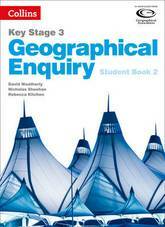 The accessible format and index enable children either to work through the topics in order, or to focus on a particular subject area.This 96-page book includes: helpful Tips for tests and advice on how to revise effectively; Remember boxes to summarise key information; regular Test yourself questions and answers to check recall of information; a Glossary to encourage the correct spelling and use of subject vocabulary.The accompanying Key Stage 2 English Practice Papers (ISBN 9780721713670) reflect the appearance and content of the national tests, providing further opportunity for revision and test preparation. The Schofield & Sims Practice Papers help children to prepare for the end of key stage tests by providing rigorous practice of exam-style questions. Closely matched to the National Curriculum test frameworks, they include full instructions for use, as well as guidance on equipment and timings, in order to familiarise children with the format of a formal test. 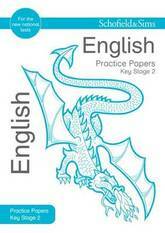 The Key Stage 2 English Practice Papers reflect the appearance and content of the national tests at Key Stage 2. Papers on reading, grammar, punctuation and spelling are included, along with detailed mark schemes to indicate whether a child is meeting the expected standard. 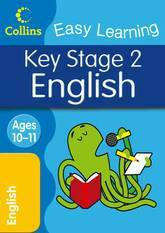 Key features of the Key Stage 2 English Practice Papers include: formal exam-style questions, similar to those found in the national tests; comprehensive instructions for both the child and adult helper; a clear mark scheme with additional comments and guidance; cross-references to relevant information in the corresponding Key Stage 2 English Revision Guide (ISBN 9780721713656). The Schofield & Sims Practice Papers help children to prepare for the end of key stage tests by providing rigorous practice of exam-style questions. Closely matched to the National Curriculum test frameworks, they include full instructions for use, as well as guidance on equipment and timings, in order to familiarise children with the format of a formal test. 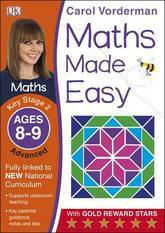 The Key Stage 2 Maths Practice Papers reflect the appearance and content of the national tests at Key Stage 2. 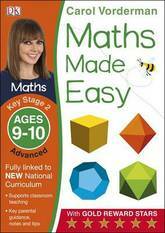 Papers on arithmetic and mathematical reasoning are included, along with detailed mark schemes to indicate whether a child is meeting the expected standard. 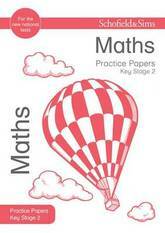 Key features of the Key Stage 2 Maths Practice Papers include: formal exam-style questions, similar to those found in the national tests; comprehensive instructions for both the child and adult helper; a clear mark scheme with additional comments and guidance; cross-references to relevant information in the corresponding Key Stage 2 Maths Revision Guide (ISBN 9780721713618). 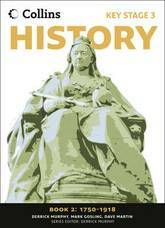 Part of the NEW Ginn History series, these colourful KS2 pupil books cover key moments in world history. 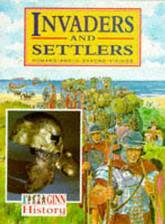 The series includes Victorian Britain, Ancient Greece, Explorations and Encounters and Britain since 1930. Photography, cartoons and illustration bring the past to life while questions at the end of each chapter provoke further thinking and a Glossary reinforces key words and concepts. 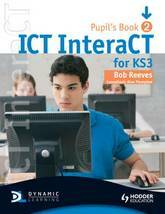 This skills practice book can be used for invaluable Times Tables practice in school and at home. 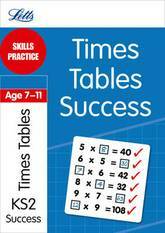 * Learn your tables - introduce the times tables and help understanding. * Parent's notes - provide ideas for motivating your child and suggest extra activities to do in everyday life. * Tables practice and activities - a variety of tasks and questions to engage your child. 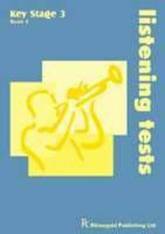 * Test your tables - short tests to see how well your child knows the times table. 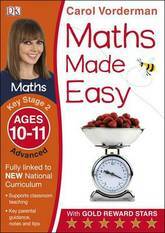 * Speed tests and progress charts - timed challenges to help your child master times tables. The progress charts enable both you and your child to monitor progress on a regular basis. * Answers to all the questions are in a pull-out booklet at the centre of the book. 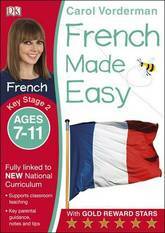 Carol Vorderman guides your child through French words, French grammar, and French pronunciation with this best-selling workbook supporting the curriculum at Key Stage 2. 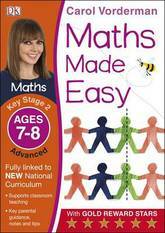 One in a series of Carol Vorderman books, French Made Easy is packed with interactive exercises and engaging activities. It is perfect for any KS2 child who enjoys French or needs some extra support in learning French grammar and French words, including French verbs. Vocabulary, spelling, and grammar lessons are broken up into manageable chunks alongside colourful images making French Made Easy fully accessible and understandable for your child. You can get involved too, reward your child with gold stars and fill in the progress chart to positively encourage their learning! A French language course in one book, it helps kids' understanding in all areas, such as pronunciation and grammar, so they really master the language. 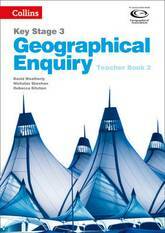 It also includes fascinating sections on French culture and geography. 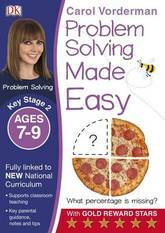 Introduce your child to maths problem solving in this KS2 maths book from Carol Vorderman. Packed with real-life problems, Problem Solving Made Easy Key Stage 2 is a curriculum-linked workbook that will help your child think, explore, test, and verify. 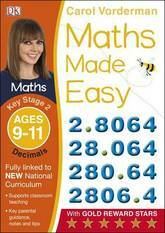 It covers a variety of lower Key Stage 2 maths topics, including decimals, area, time, and money problems. There is plenty of addition, subtraction, multiplication, and division practice too. 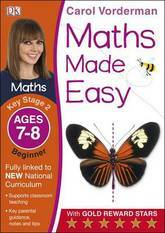 This problem solving book will boost your child's power of maths reasoning in a fresh and fun way. 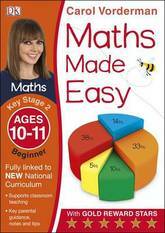 The best-selling Made Easy series of home-learning workbooks is closely linked to the national curriculum and makes learning easy and fun! 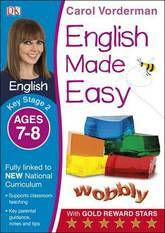 Each title is packed with exercises and activities to strengthen your child's learning in school. A parents' section contains answers, tips and guidance so parents can support their child's learning.